The meeting, which will take place in Tehran, will consist of a 3-day school, followed by a 2-day conference. An excursion is planned for the fourth day. 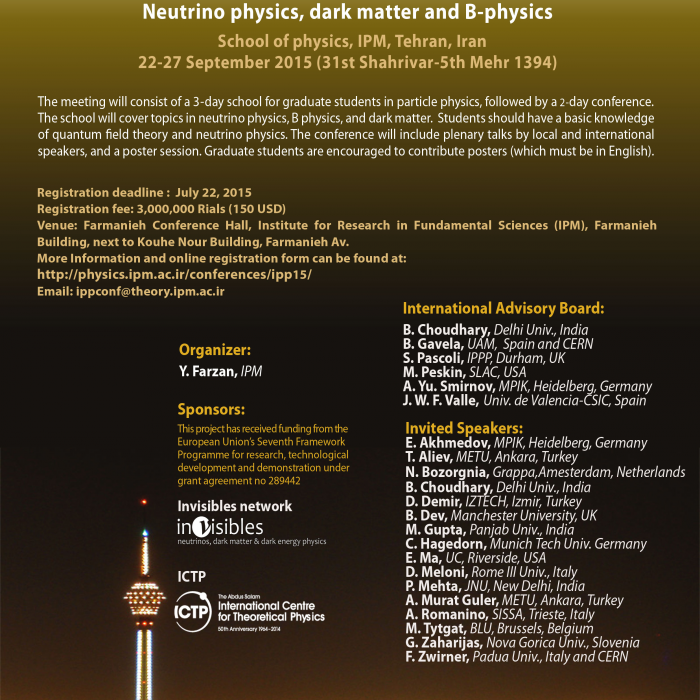 The meeting will cover topics in neutrino physics, B physics, Higgs physics, and dark matter. 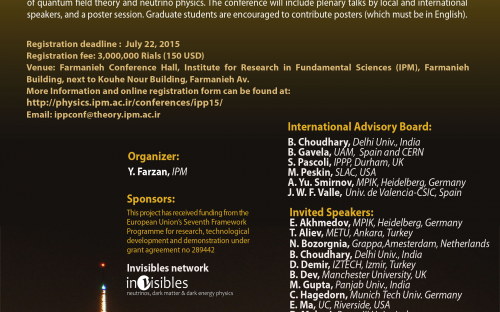 The conference will include plenary talks by local and international speakers, and a poster session.